​Subscribing less to a particular brand name or style, Lily believes that a teacher should meet the student where they are so that the yoga is tailored to the needs of the student. On the mat she incorporates yoga philosophy and nursing knowledge into her teaching. Her sharp eye for reading students’ bodies, thorough anatomical study, and a deep interest in how the human body moves makes her an honest, compassionate teacher for the individual body. 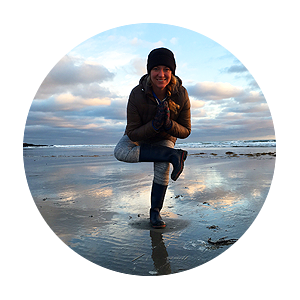 Lily has been teaching yoga for years, as well as being owner of The Breathing Room Yoga Studio, Tula Studios Yoga & Health, director of Yoga teacher training, she has been a Maine Sea kayak guide for over 6 years, a maine outdoor educator and avid surfer. Using yoga and nature has been part of her practice from the beginning. Lily is excited to share the direct connection of breath and movement with flotation in nature, it is like no other mind/body practice.